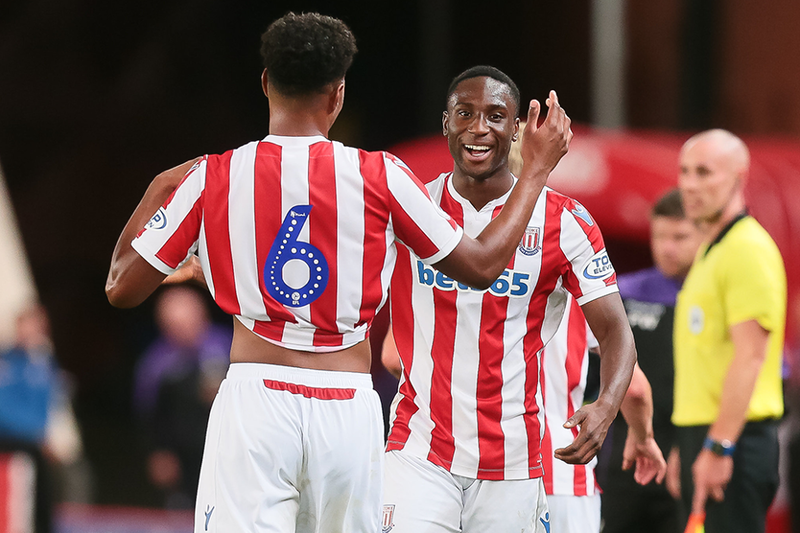 Seven different goalscorers helped Stoke City move up to sixth place in Premier League 2 Division 2, with a 7-2 triumph over Norwich City at Harrison Park. Mark Waddington gave Stoke the lead on seven minutes, before goals from Tre Pemberton, Tyrese Campbell and William Forrester put the home side 4-0 ahead with half an hour gone. Adam Idah netted his first of the evening with a 51st-minute penalty for Norwich, but Jake Dunwoody and Dan Jarvis scored a minute apart to make it 6-1. Striker Gabriel Kyeremateng (pictured) added a seventh for Stoke, before Idah scored a consolation in the 80th minute. Stoke are one point and two places clear of the Canaries after the victory.